Q: What types of payment does the ReStore accept? A: The ReStore accepts cash, all major credit cards, and checks with proper identification. Q. Where do your items come from? A. All of the items for sale in the ReStore are donated from individuals, businesses, contractors and other sources. For additional donation information, click here. A: All sales are final; however, most appliances and electronics are covered with a 30 day warranty and may be returned with the original receipt for store credit. Q: I found an item I like but it’s too big to take home today. Can you hold it until I can pick it up? A: Regretfully, we are no longer able to provide storage due to space restrictions at the store. You can, however, request to put a brief hold on items while you arrange same day take-away. Payment will be accepted after you arrange transport. If you do not return the same day, the item will be made available to other customers. A: No, again because we have very limited storage space. Q. Do items go on sale? A. The ReStore offers special promotions from time to time. Follow us on Facebook for information about sales and special events at the ReStore. A: All of the ReStore proceeds go directly to Habitat for Humanity of Greater New Haven. 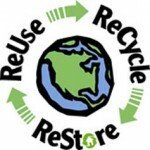 100% of the proceeds of the ReStore benefit your local area! Funds are used to build Habitat homes in New Haven County. Visit the Habitat for Humanity of Greater New Haven website, www.habitatgnh.org, for more information about the organization. Q: Can I volunteer and/or can a group from my business, club, faith community, volunteer? A: Absolutely! Habitat for Humanity of Greater New Haven is a volunteer driven organization. Volunteers assist in the ReStore, help build Habitat homes, provide administrative support in the office, and provide crucial professional services. Visit the Habitat website for more information about how to volunteer. You may also contact Allison Mangles, Volunteer Coordinator, at (203) 785-0794 ext. 100 or amangles@habitatgnh.org to discuss volunteering.